CCTV is a great way to secure your home and its surroundings. 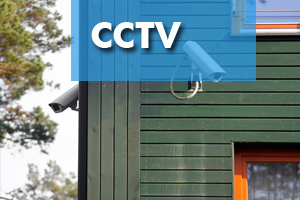 With CCTV you can take advantage of having a look not just in your home, but around it as well. CCTV System consists of: One DVR (Digital Video Recorder) or NVR (Network Video Recorder), which is a stand-alone unit with a HDD (Hard Disc Drive) fitted, with a 500GB-2TB, plus depending on capacity required for recording. This system will work with one camera to as many cameras as required. We use cameras with a minimum of 700TVL and up to 1080P with resolution up to 1920X1080 @ 30FPS. Cameras used: Dome, Bullet, Boxed. We have indoor, out-door, plastic, metal, vandal-proof, water resistant, IR, or PTZ. There are cameras for every application. DVR’s or NVR’s can be connected to your mobile phone (android or i-Phone) for easy access to visual live footage. A CCTV System allows you to check on your home 24/7 from anywhere around the world. Click here to email us for more information or for your free quote.